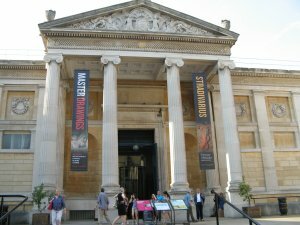 The Ashmolean entrance in a hot July Where is everybody? 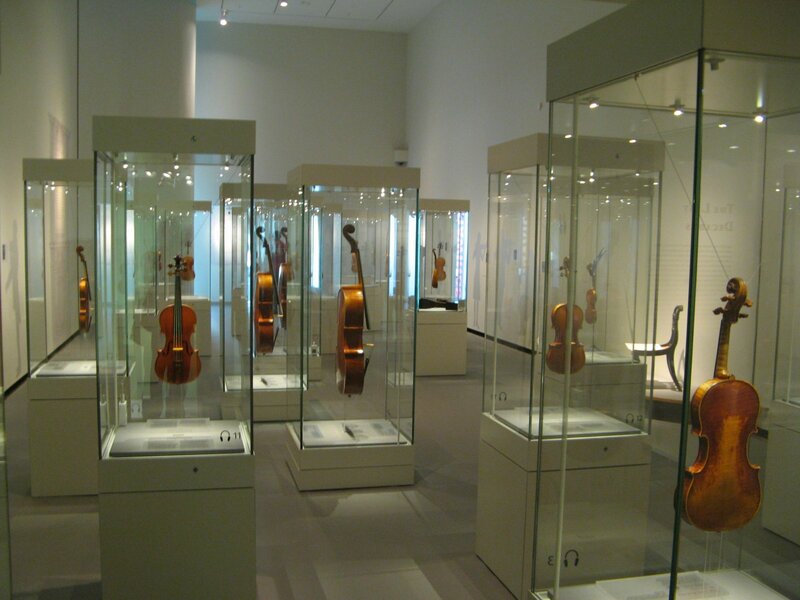 What can I say after 2 visits...? 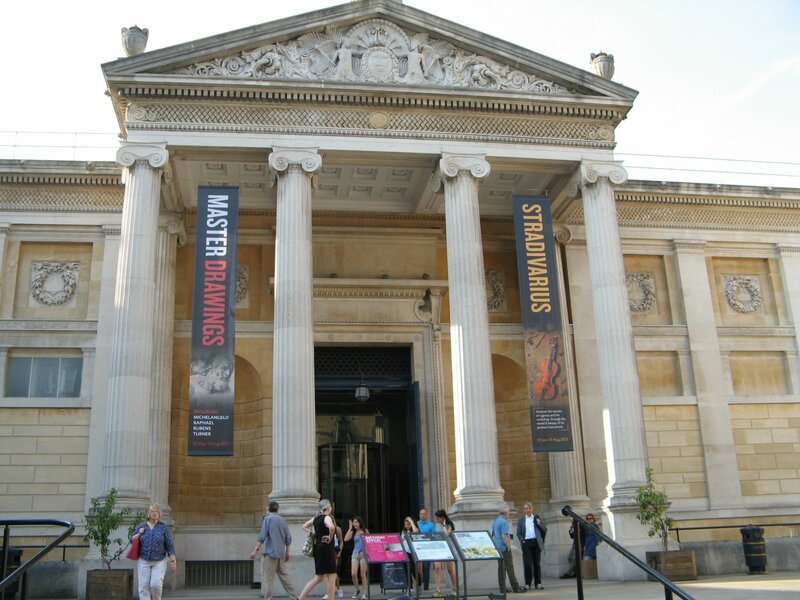 Perhaps just to urge anybody with an interest in the classical Cremonese instruments by Stradivarius to make the pilgrimage to Oxford's Ashmolean museum this summer. Or at least buy the very reasonable priced catalogue. Well displayed and curated exhibitions of stringed instruments are rare, but amongst these 21 Stradivaris on show are the crème de la crème of his output, many of which are rarely or never before seen at any public exhibition. 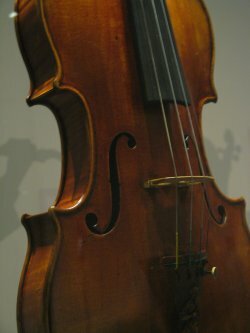 And being able to walk passed examples of his entire active life must certainly be a highlight for every maker and enthusiast. 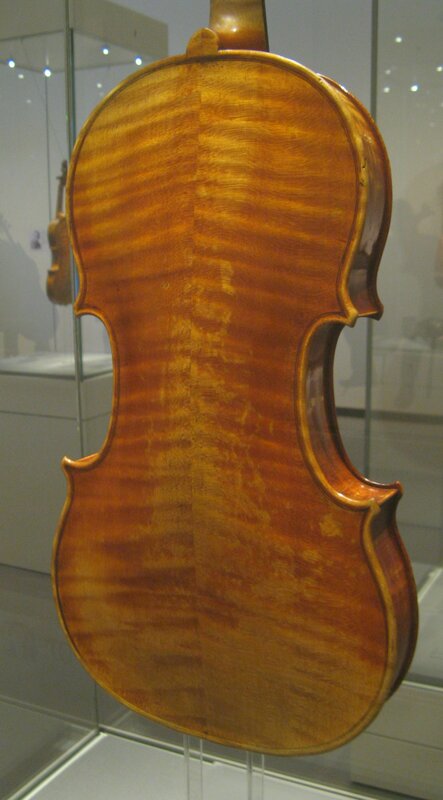 The exhibition presents unique instruments from his early period (starting with his earliest known violin the 1666 'Serdet'), over the 1690s long pattern (1694 Benecke), his 'golden period' (1711 Parke, 1715 Alard, 1716 Le Messie) to the late period (1721 Lady Blunt, 1733 Kreisler). 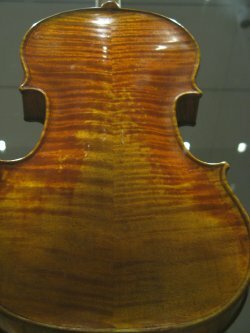 Seeing one Stradivari Cello is a great opportunity, but to see 3 in the same room takes one's breath away. 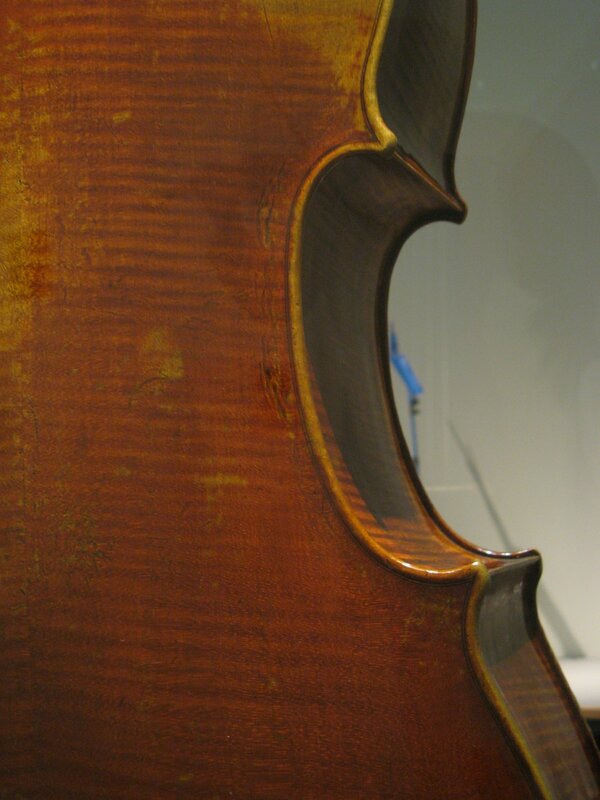 The well known 1700 Christiani (usually on display in Cremona), together with the 2 forma B examples the 1713 'Bass of Spain' and the 1714 'Batta - Piatigorsky' give ample opportunity to study the masters skill. This is also of course an occasion to observe and study the classical Cremonese varnish with its myriad of possible wear patterns. Many of the exhibits look as fresh as perhaps seen by Vuillaume, a few as by even earlier generations. What I find striking is the very clean look of both varnish and its' ground, the wood also often appearing a much lighter colour than many copies trying to make us believe. With the patina and surface wear of many years of performance, these of course add to the general picture of what we associate with the 'classical wear pattern'. 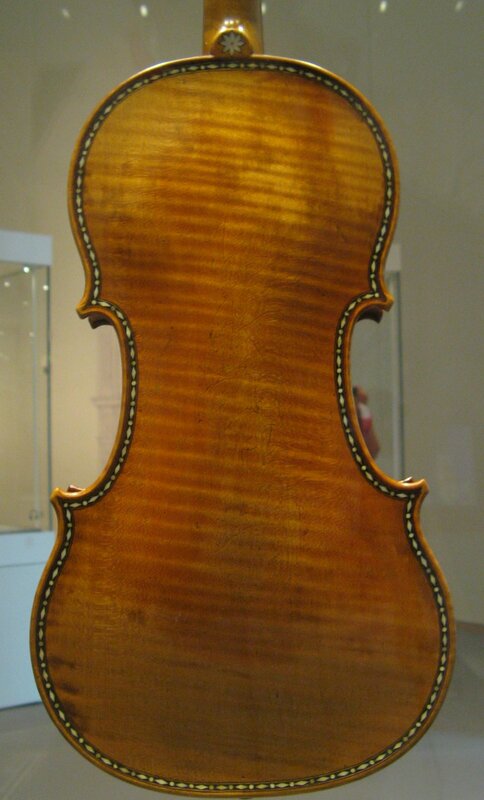 But looking in comparison to 'Le Messie' and the 'Lady Blunt' - both so clean and pure belying their age of almost 300 years - it is not so hard anymore to make the connection between all the exhibits and put any doubts of originality to rest. Even the relatively humble guitar exhibits the lustrous early varnish, and the small Dancing Master's violin of 1712 shows the classical varnish in its full red glory with its wear on the deeply figured maple back appearing as freshly fractured and chipped as if it might have happened yesterday. 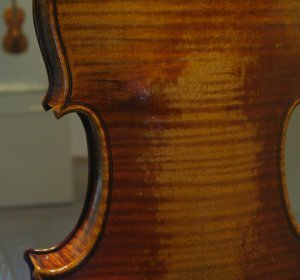 As varied as aspects of Stradivaris' models, choice of wood, the archings of front and back and his varnishes can be over the span of these years, they reflect the true skill not just of an artisan but a genius. 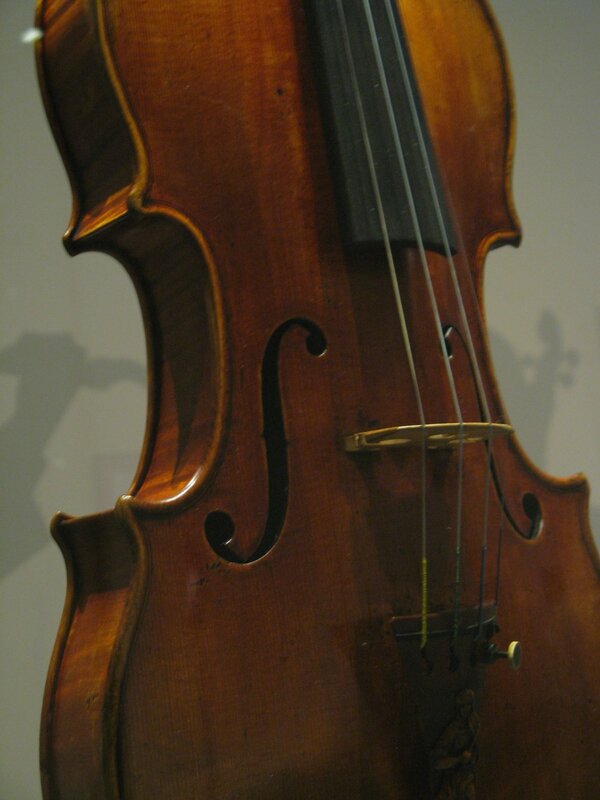 Maybe it is virtually impossible in the rush of the modern world to find the dedication and necessary quiet study of many decades to come close to Stradivaris' work, but seeing these masterworks should instil in any contemporary maker passion and inspiration to at least try.